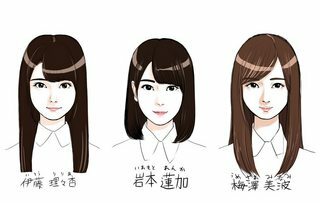 Discussion in 'Nogizaka46 Members' started by kanjo, Oct 12, 2016.
so far i could remember the tallest girl, youngest 3rd gen, momoko and the one from Okinawa. Umezawa sounds so adult. I'm hoping she ends up being called Ume-chan just because that's what I've been calling her. The 3rd gen is shaping up to be good. I'm liking them so far. Did 2nd gen have the same type of introductions? @kanjo Perhaps because they'll finish up blogging by the end of the year, maybe they'll be on the first NogiChu of 2017. That would be great! I'm so hyped for it. As I meet each new member, I'm liking them. I wasn't too keen on Umezawa, but reading that blog entry with her courteous appreciation of fans who supported her during their SHOWROOM live, I think she's won me over. @CutePanda I've already memorized their names. Now I have to put names to faces better. Tamami and Hazuki looked too alike to me. Same for Umezawa and Yoshida. Need to see more of them live. 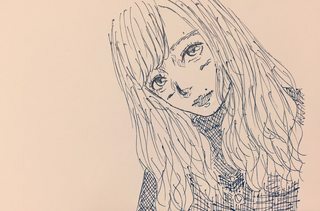 Has anyone ever posted a comment on a member's blog in English or non-Japanese? 2nd gen and 3rd gen are shaping up to be so different. I can't recall very much as I was a very surface-level fan at the time. I watched all their shows, concerts and bought CDs and stuff but I didn't discuss them nearly as much. TBF back then the international Nogizaka fan community was TINY. Fans of the 2nd gen might be jealous, and might even be angry. In some ways it's justified but a lot of the differences are due to Nogizaka's grown popularity. Personally, I'm just extremely glad to see how much Nogizaka's management has learned from their wanting treatment of the 2nd gens, and that they're popular enough to give all these great opportunities to their new members. 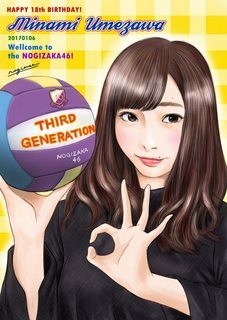 The only thing the 2nd gen had better than the 3rd gen is that their appearance on Nogidoko was only 2 months after the auditions ended. 1. The 3rd gen's first event was their omitatekai at Budokan. The 2nd gen never had an omitatekai. They were announced on a throwaway TV show 2 months after the auditions and nothing before that. Never mind an omitatekai, at Budokan no less, they never even had any comparable solo event. The closest they have had are the Under Lives. The 3rd generation debuting at a solo event in Budokan is mindblowingly huge. It's such a prestigious location that a decade old group would love to perform at someday, and these girls debuted there. 2. They'll have their first stage performance "3nin no Principal" in February. As I said, the second gens never had a solo event, and never had a solo production like Principal to perform. The 3rd gens are getting their own one whereas most of the 2nd gen have never been to the "full" group ones. They were in the group a full year before 16nin no Principal Trois but only 3 members (Hori, Kitano, Shinuchi) participated in that stage. 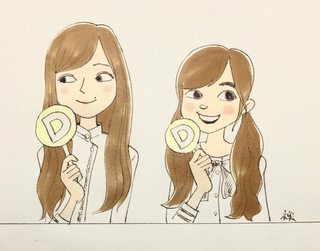 The 3rd Gen's Principal stage starts 5 months after their debut. 3. The 3rd gen made their TV debut on FNS Kayousai, a major year end music show (and year end music shows are a very big thing in Japan) just 3 months after their debut. Most 2nd gens have never appeared on FNS Kayousai, despite 4 years passing since they joined. Usually it's only senbatsu. This year it was senbatsu plus new members. This was probably only possible due to Keyaki also having new members. Still an incredible opportunity. I could be wrong in this, but I'm pretty sure I've never heard the 3rd gens be called kenkyuusei officially. Ever. It seems like management are intentionally avoiding the term. Here's an example. When the 2nd gens shared a blog user it was called "Kenkyuusei", but now the 3rd gens share a blog it's called "3rd generation blog"
Even when you click "Kenkyuusei blog" below "management blog" it links to the old kenkyuusei blogs, not the 3rd gen collective blog user. They might be trying to rebrand the "new member" theme, and especially after showing how battle ready Kanji Keyaki were after such a short time it sounds like a great idea. Or I could be just looking too far into things. Some might read this and be angry that the 3rd gen are being blessed too much and that. 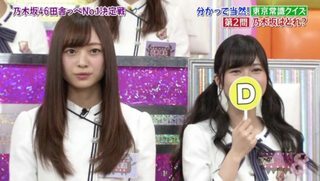 I can see where they're coming from, but reading their blogs, they're all very aware how lucky they are, and I'm just happy to finally see Nogizaka do new members very, very right. I'm gonna post this in the general thread as well. Doing all this research got me curious about what the rest of the site thinks. That's a lot to ponder. I will think on it and post in the other thread. Perhaps it should've been its own thread for better discussion? 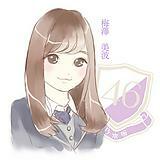 Umezawa posts candidates for her nickname in today's 3rd gen blog. Or at least that's what it is seems Google translate showed me. Anyone with a better translation? Did she really rule out Ume-chan? It's too easy to default to calling her Ume-chan. I unexpectedly lost access to pcs and haven't the patience to translate on my phone (so that's why the other 3s have been kept waiting) but for now I don't think she ruled out umechan. She seems to have forgotten to count it but I don't think it's intentional. Her facial features remind me of Muto Tomu in that vid. 3rd gens are ridiculously pretty. Minamin? Does it roll off the tongue easily? Will she get confused as to who it is being cheered on, Hoshino or her, during lives? Now we can update the wiki, right? its like someone genetically combines shiraishi and shinuchi. this girl might be the death of me.